Winters in the upper midwestern part of the U.S. are brutally dry. My hair clings to everything it touches, and my skin goes from already very dry to wow-I-can't-even-move-my-face dry. After many years of trying practically everything I could get my hands on, I've found several products that are now staple items to help me get through these freezing months and to stop my skin from turning into that of a reptile. Scales aren't a good look on me. 001. Aquaphor This product is an absolute must-have, and I've been using it for as long as I can remember. 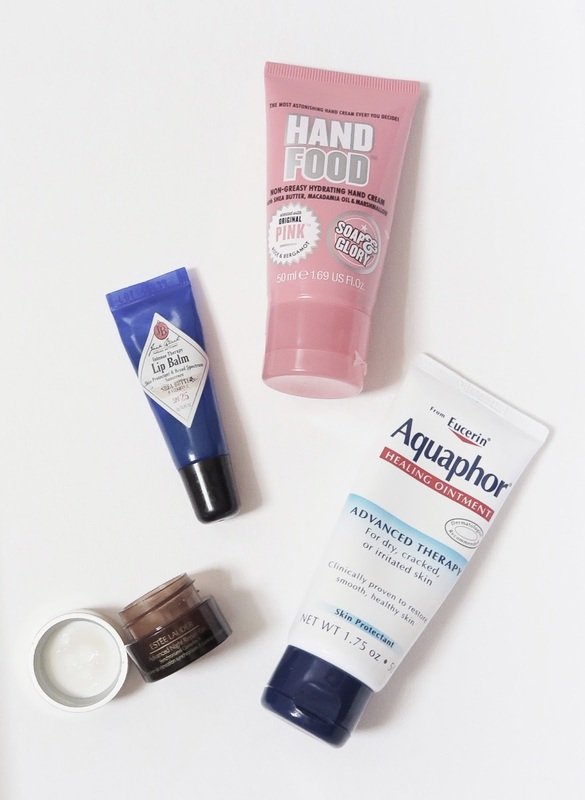 If you have dry skin, Aquaphor will completely change your life. Ever get those annoying dry patches on your face that never seem to go away no matter how much moisturizer you apply? Apply a thick layer of this stuff, and overnight they will be gone. It's quite literally magic. This also works wonders on chapped lips, not to mention cracked heels. Complete game-changer. 002. Jack Black Intense Therapy Lip Balm If you're on the market for a moisturizing lip balm specifically, this is a great one to check out. They have a variety of flavors and are super great to throw in a purse or backpack. Plus, they have SPF. 003. 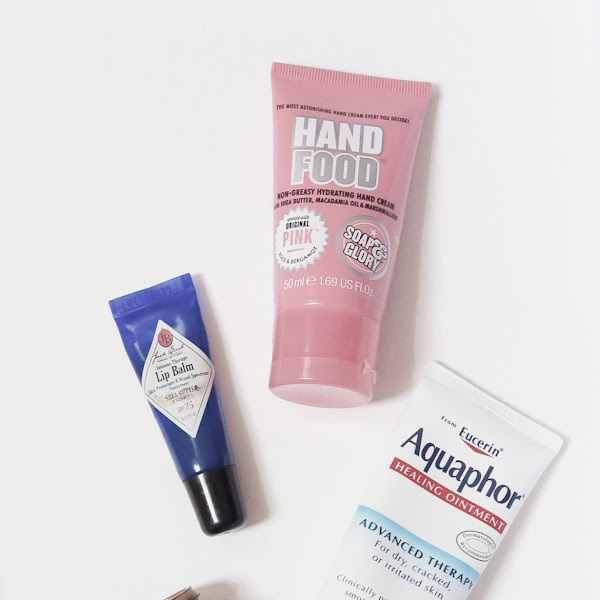 Soap & Glory Hand Food Hands-down (get it, 'cause it's hand cream?) the best hand cream I have ever used. It has a fresh, rosy scent, and absorbs immediately -- none of that dreaded post-hand-cream greasiness here. This guy leaves your hands feeling silky smooth and super moisturized. I couldn't tell you how many tubes of this product I've gone through. And it's a super affordable option as well. 004. Estee Lauder Advanced Night Repair Eye Being seventeen, I never thought eye cream was a priority in my skincare routine; I figured using simple ol' moisturizer should do the trick. But when my under-eye concealer was flaking off throughout the day, I decided to give it a try -- and I'm super glad I did. I stole this from my mom's bathroom (sorry Mom, if you're reading) and have been very happy with the results. After my first night using it I could already see and feel the difference. The skin under your eyes is different than the rest of your face, and can benefit from special eye-targeted products. This eye cream has worked well for me, and I would definitely recommend it, but I think eye cream in general is definitely a product to look into if you aren't using it already. 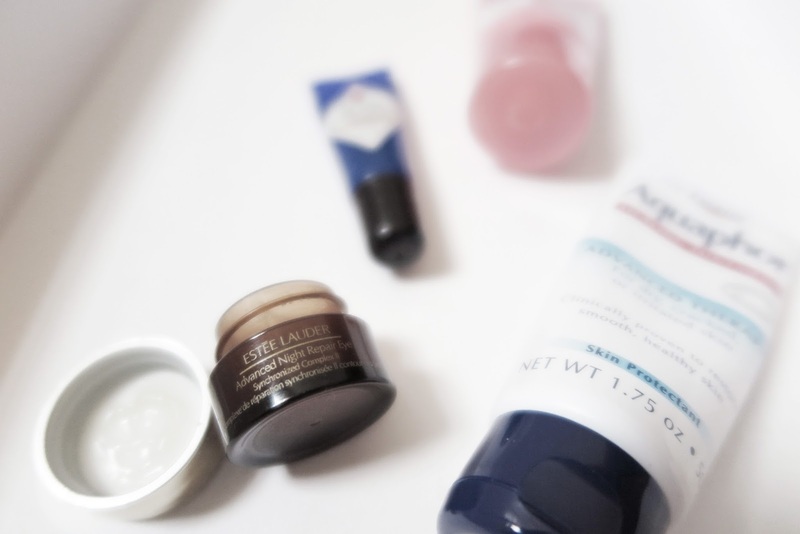 What are you staple winter skincare products? Hope you are all having a wonderful beginning of 2017! 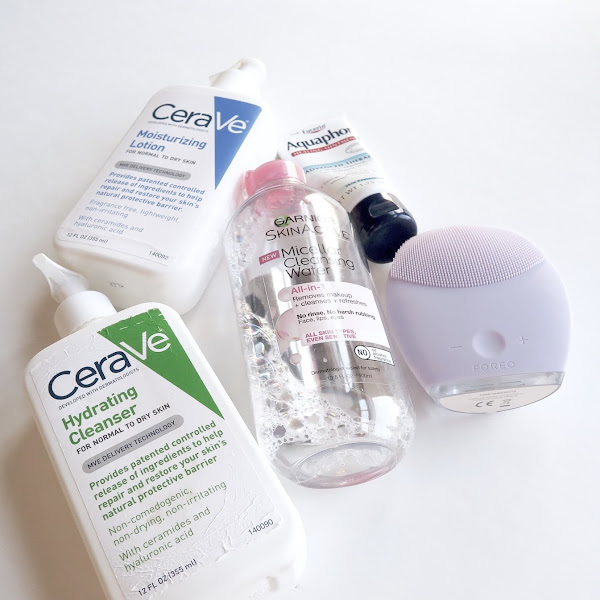 My skin gets so dry in the winter - I'll have to try all of these products out! I didn't think that I would need an eye cream either, but it's something I will be looking into for sure. An eye cream has made all the difference for me! 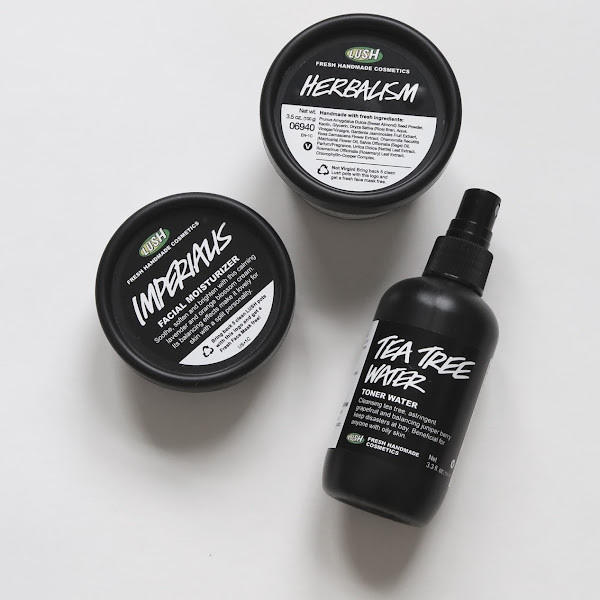 I hope these products work for you. Thanks for reading! I would be lost without my S&G hand food! Same here; I love it! I definitely agree. It's a wonderful product to have. I haven't explored using oils on my skin -- certainly something I should look into.